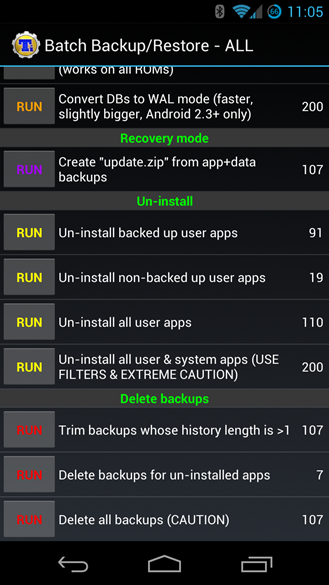 How many times have you gone through this: download a new ROM, backup all your apps with Titanium, reboot into recovery, perform a nandroid backup, wipe, install new ROM, boot and set up,then restore all your apps and data. Yeah, it's crazy. And it takes forever. What if you could cut that time by a solid 20 or 30 minutes? Thanks to a new feature just incorporated in Titanium Backup, you can. 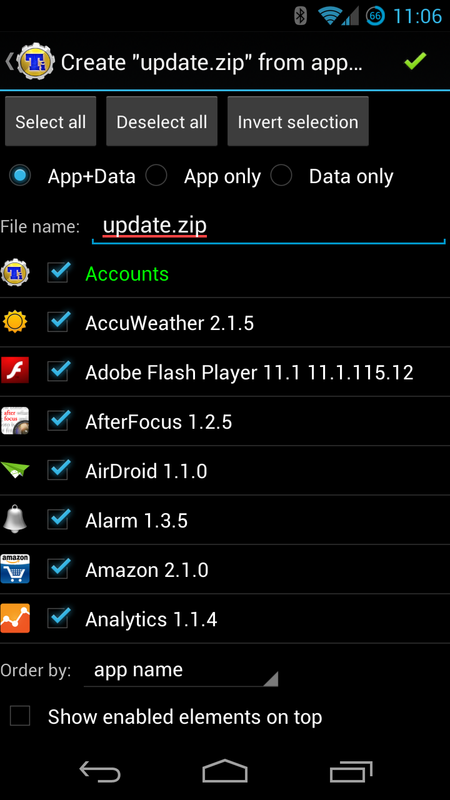 With the newest update to TB Pro, you can now create a flashable zip of all your apps and data. That means that you can flash all your goodies right after a new ROM and fire up a system that's ready to go right out of the box. Awesome. If you're a TB Pro user, the update is available now in the Store. 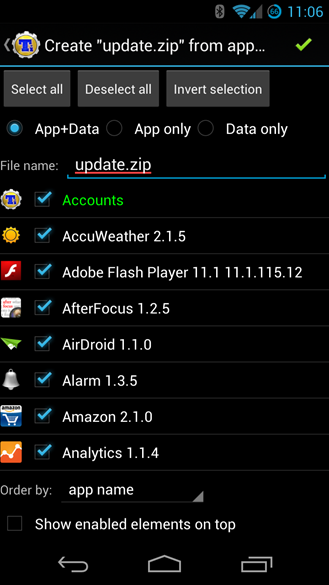 If you root/ROM and don't use TB, there's never been a better time to check it out.